SF Giants CHAMPIONS!!!. . 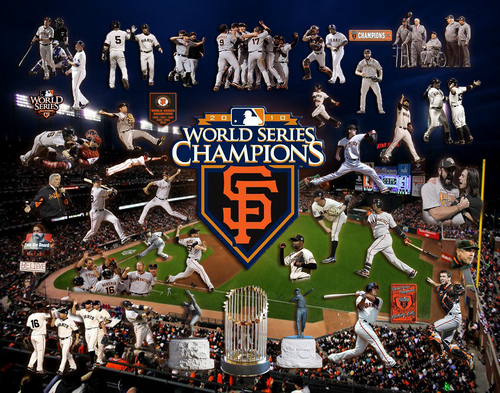 HD Wallpaper and background images in the Baseball club tagged: baseball mlb giants world series major league jarbs58 collage. This Baseball photo might contain anime, banda desenhada, manga, desenhos animados, mangá, and quadrinhos. Various Baseball Players with the name MIKE! Giants/Red Sox Voting Alliance--How Pathetic. Make one for the Dodgers!